Featured on the iTunes App Store Navigation "New & Noteworthy" list! 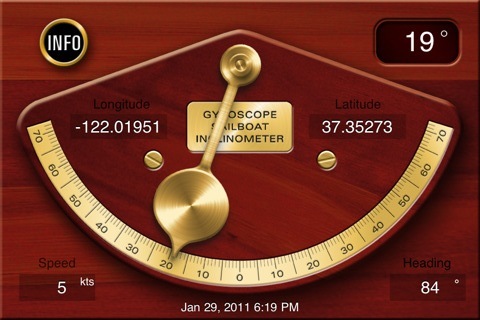 Gyroscope powered sailboat/ship inclinometer plus GPS navigation. Super accurate tilt meter based on the gyroscope and now also a great GPS navigation backup all in one. Automatic warning if compass needs to be calibrated or is near interference.